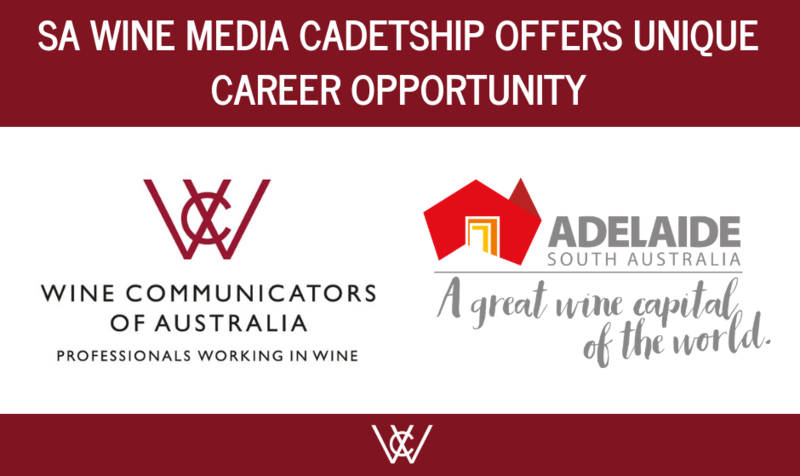 The 2019 Wine Communicators of Australia (WCA) wine media cadetship, aimed at aspiring journalists with an ambition for specialising in the wine sector, is now open for applications. Now in its third year under the new format, the cadetship presents a platform for young wine media to take the next step in their budding communication careers. The cadetship is run by Wine Communicators of Australia – a national organisation for wine industry professionals – and is sponsored through the Adelaide a Great Wine Capital initiative funded by Primary Industries and Regions South Australia (PIRSA), the South Australian Wine Industry Association, South Australian Tourism Commission and Brand South Australia. The six-month program involves opportunities to participate in a range of practical experiences including media development workshops, attendance at international and domestic wine events, media placements and mentorship within the wine industry and an opportunity to meet key wine influencers as part of the activities within the Great Wine Capitals program.